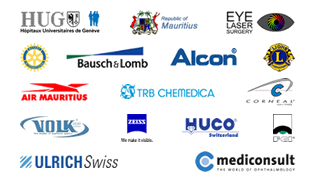 (Seychelles News Agency) – The quality of eye treatment and surgery in Seychelles is expected to strengthen following the signing of a memorandum of understanding between the Ministry of Health and the Geneva-based Teaching Eye Surgery Foundation. The agreement calls for regular visits by surgeons from the foundation to perform advanced procedures in Seychelles. The agreement also provides for capacity building of Seychellois doctors through attachments with eye hospitals affiliated with the foundation. Currently, there is only one ophthalmologist — a medical doctor specialising in eye and vision care — at the Ministry of Health. Health Minister Jean Paul Adam told journalists that there are 17 young general practitioners who are interested in specializing in ophthalmology. “We have the opportunity to give these doctors a world-class experience in order to raise the level of ophthalmology services in Seychelles even higher,” added the minister. The president of the Teaching Eye Surgery Foundation, Cyrus Tabatay, said that the foundation had a similar understanding with Mauritius. “We trained nine doctors and was able to reduce the waiting list from five years to only three weeks, through capacity building,” said Tabatay, adding that the number of referrals to foreign hospitals dropped from 300 per year to only two per year. In Seychelles, a 115-island archipelago in the western Indian Ocean, there are approximately 25 to 30 referrals to foreign countries for specialized treatment per year. The agreement will also provide for a long-term innovative project to enhance the ministry’s ability to detect diabetes at an earlier stage and offer early treatment with the use of an advanced screening equipment which will be available in 2018. Nurses will be trained on how to handle the equipment. “Through the screening process, we will be able to find out what degree of risk the individual has,” said Adam. It was also revealed that there will be renovations on the operating theatre to cater for more advanced surgeries. Interventions will start in September while complex procedures will only be performed after the full renovation of the theatre in 2018. The foundation is offering its services for free, with the government of Seychelles covering only training costs.